River Bank Lodge is a small complex located adjacent to River Run in Keystone CO Real Estate. Built in 1990, there are a total of 25 units comprised of 21 – one bedrooms, and 4 – two bedrooms units. The one bedrooms range in size from 543 – 602 square feet and the two bedrooms are 767 square feet. The two bedroom units all have decks, while the one bedrooms don’t have decks they still have amazing views. River Bank Lodge is located next door to properties in River Run Village but does not have the 2.0% transfer tax or the resort/neighborhood fees the condos in River Run have to pay. 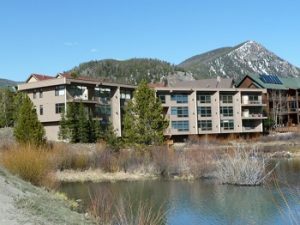 This makes River Bank Lodge a truly great buy when looking for condos for sale in Keystone CO.